Do you know the amazing benefits of Magnesium? Magnesium helps to maintain normal muscle and nerve function and helps to keep heart rhythm steady. 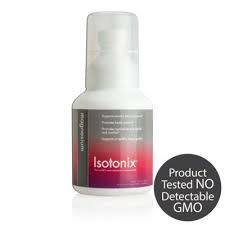 It supports a healthy immune system and keeps bones strong. It helps regulate blood sugar levels, promotes normal blood pressure, it’s involved in energy metabolism and protein synthesis. There is also an increased interest in the role of magnesium and managing disorders such as hypertension, cardiovascular disease and diabetes. Dietary magnesium is absorbed in the small intestines and excreted through the kidneys; therefore the status of the digestive system and kidneys significantly impacts the uptake of magnesium into the body. Magnesium also comes in as a superstar in improving sleep quality! There are many sources of magnesium in our foods. Some great sources are Wheat Bran, Almonds, Spinach, Cashews, Pinto Beans, and Brown Rice. There are also many supplements available on the market if you choose that route. Due to the fact that the Digestive System places such a key role in the efficiency of magnesium uptake, I am partial to an Isotonic delivery system.